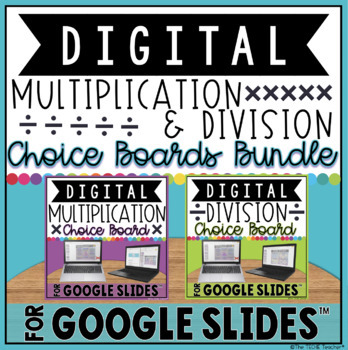 This bundle includes both the multiplication and division digital choice boards, or choice menus, for Google Drive™ that are also listed separately in my store. 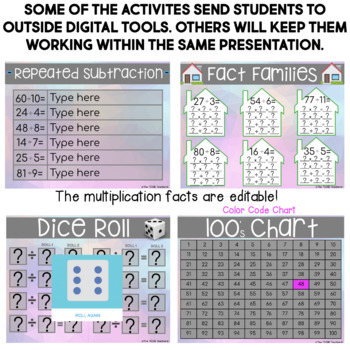 These choice boards contain engaging and paperless activities for students to use and practice basic multiplication & division facts and different strategies. 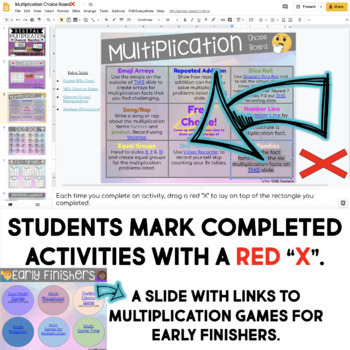 It makes a great way to differentiate for all learners! Students must have their own Google account in order to use this product. 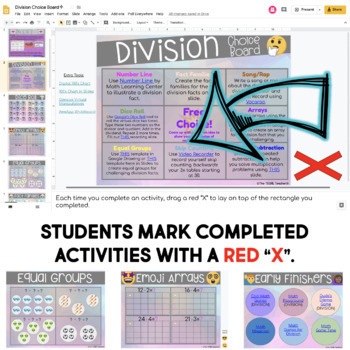 This will work on Chromebooks™, laptops and computers. It is NOT intended for iPads. Check out both listings for all of the details!